I can't believe our little man is one month old today. Man, this month has FLOWN by! I need to go to bed, but I wanted to post this on his one month birthday. 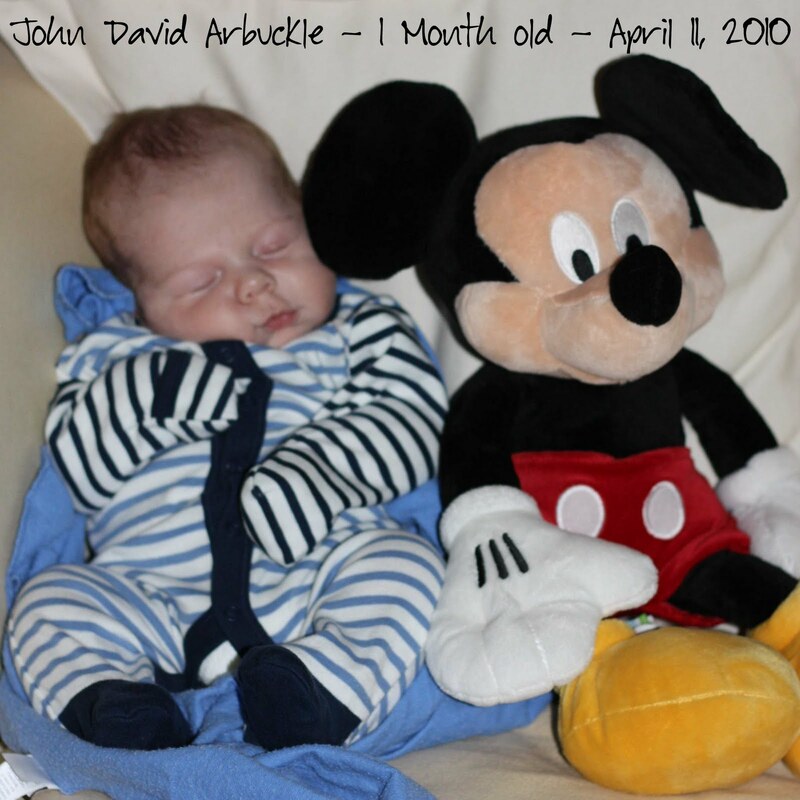 I am going to try to take a picture of John with Mickey every month to see how he has grown. Justin and I were talking tonight about how we can't believe we have a girl and a boy. We truly are so blessed! Dear John - it has only been a month, but I love you more than you know! I am so lucky to have you as my little man! I love how you cuddle and don't mind when I give you a million kisses! I hope you always stay that way! I love you, Mommy! nicole! 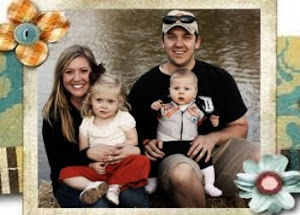 this is the first time i've been to your blog, and your children are precious! so good to see pics of you and justin as well! miss you guys!